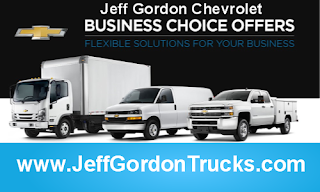 Your time is valuable and when Jeff Gordon launched JeffGordonTrucks.com, he quickly realized it was exactly what business owners had been waiting for. Shop hundreds of fleet, work and commercial vehicles at NASCAR Champion Drive Jeff Gordon's Chevrolet Dealership in Wilmington, North Carolina. Combine the latest rebates and incentives with Business Choice offers and save thousands on the trucks that more professionals rely on than any other brand.